Cape Coral Historical Museum’s Upper Caloosahatchee River History & Eco Boat Tour on the Pure Florida M/V Edison Explorer. Enjoy a boat tour with a local historic author, Pat Emerson, telling about the river and the crossing of early settlers into North Fort Myers. Tour date, November 9th, the cost is only $55 per person. This includes tour, lunch, and beverage. 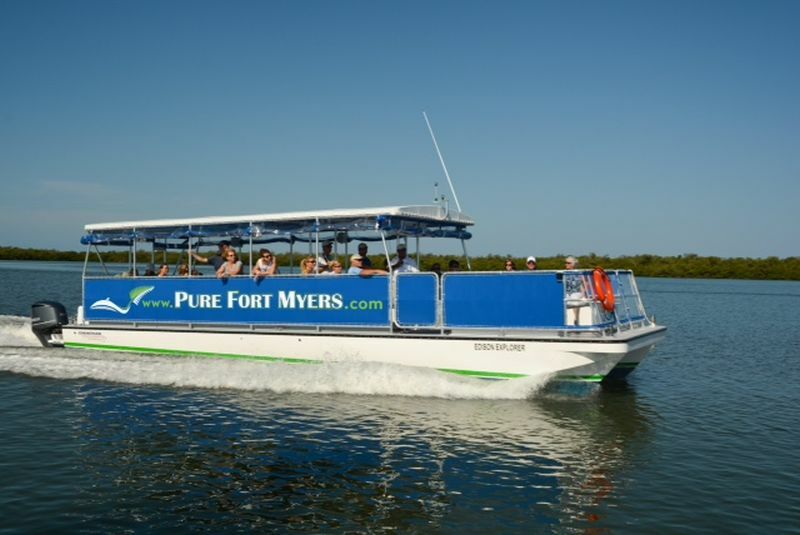 Meet at the Marina at Edison Ford by Pinchers in Fort Myers at 11:30 for this approximately 90-minute historic tour. Limited seating so make your reservation today on our website www.capecoralhistoricalmuseum.org or by calling 239-772-7037.